Take Care Of Your Loved Ones With A Lottery Win > What You Could Do After Winning The Lotto PLAY THE LOTTO ONLINE FOR A LOVED ONE AND WIN! PLAY THE LOTTO ONLINE FOR A LOVED ONE AND WIN! What did you buy your mom for Mother's Day this year? Bath products, fragrance, flowers? Perhaps you gave her a spa day or bought her a nice meal? Did you ever think of playing the lotto online for your Mum at GiantLottos.com? Because if you did, you might have made your mom a huge lottery winner! It's an unorthodox gift to be sure, but in the US and the UK, buying mom a lottery ticket for Mother's Day is yet another way to say I love you - one which you could have replicated simply by playing the lottery online with GiantLottos.com yourself. No need to be in the US or the UK - simply log onto GiantLottos.com, play the lottery online, and mom could have been a big winner for 2015! That's exactly what some savvy lotto players did this year - and their loved ones went on to reap the benefits! 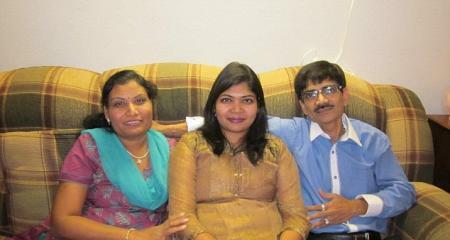 It's not as obviously indulgent as a mother-daughter spa day, but Priti Shah gratefully accepted her daughter's gift of a Chicago lottery ticket for Mother's Day this year. But while a French manicure would have looked good for a week, the lottery ticket turned out to be worth a lifetime of happy memories, as it revealed itself to be a $4 million winner! "After a few days, I went to a store to check my ticket", says Priti, "and even when they confirmed it, I still couldn’t believe it was true. The next 20 years of my life will certainly be easier!” With $200,000 a year for the next 20 years, we don't doubt it will! It's not only mothers who luck out on Mother's Day online lotto tickets - wives do pretty well too! At least one did this year, with a winning Powerball ticket worth $457,073, purchased for her by her husband to mark the occasion. It's not roses or champagne certainly, but for the winning couple it's debt repayment, home improvement and a measure of financial freedom - all for the price of a card and one Powerball ticket! So if you're out of ideas when it comes to giving gifts, why not play the lottery online and give a loved one something more valuable than a bottle of wine, a candle or a magazine subscription? Father's Day is coming up soon, and we're sure dad would love a few million in his bank account more than he would another soap-on-a-rope or a pair of socks! It's so easy too - to play the lottery online, all you have to do is logon to GiantLottos.com, choose from the range of international lotteries on offer, and play your favourite. Then print out your ticket details, put them in a card, and hey presto - it's the gift that keeps on giving! So give the gift of financial freedom this year - play the lottery online with GiantLottos.com and show your loved ones how much you care with millions in lottery winnings (and hopefully a free thank you meal somewhere along the line too!). See How This Lottery Loyalty Program Could Net You £4 Million In A Few Easy Steps!